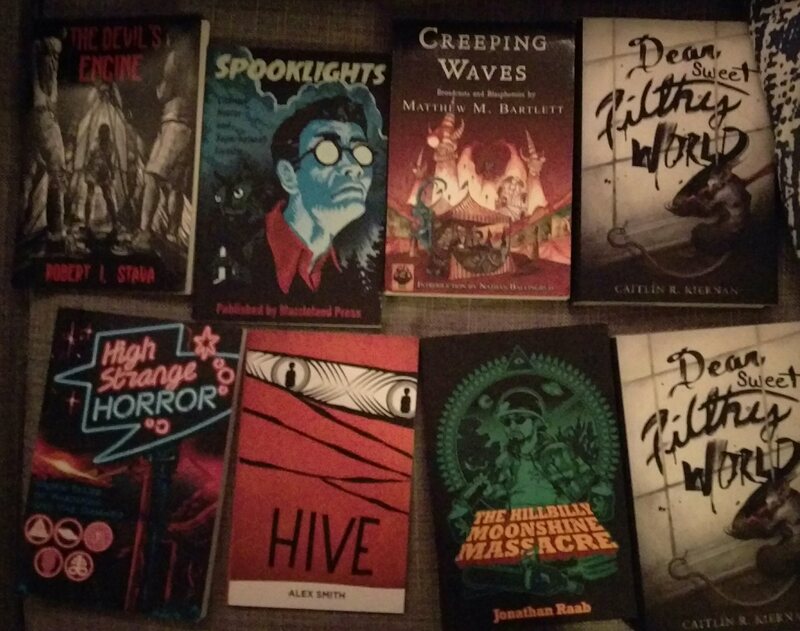 The plan was to get no books, but a few came in anyway. The NecronomiCon Providence special anthology, which I got because I was unable to attend. 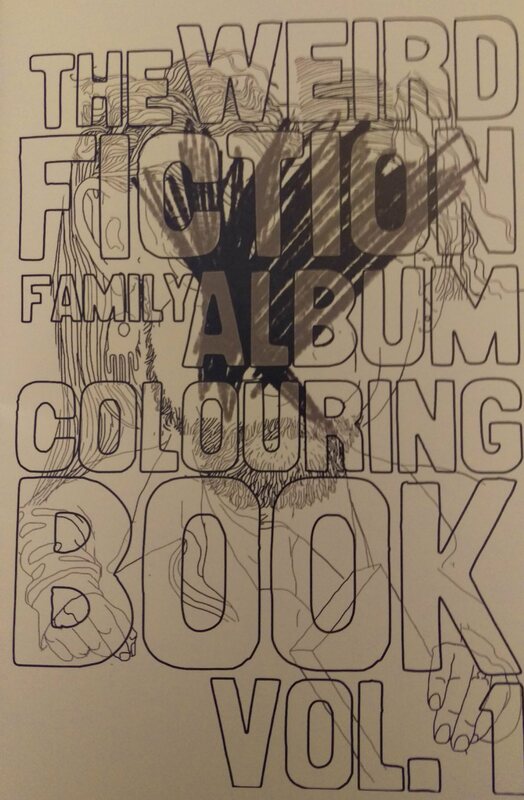 Also, via Gemma Files I got the Yves Tourigny weird fiction coloring book. You can all look forward to photos of how I paint those images. Madeleine Ashby‘s –iD Purchased at a Bakka-Phoenix clearance sale. I haven’t read the first book, or Company Town (which I want to read more), but too good a deal for a good read. 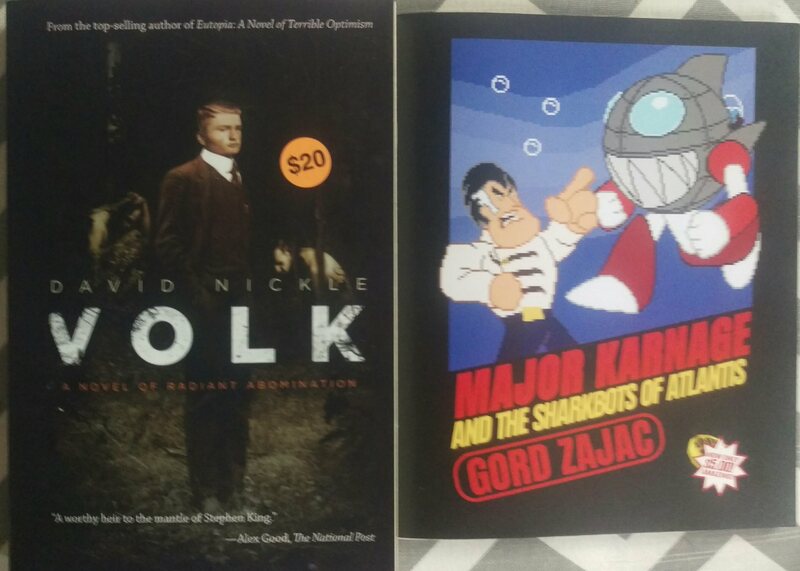 Gord Zajac – Major Karnage and the Sharkbots of Atlantis. 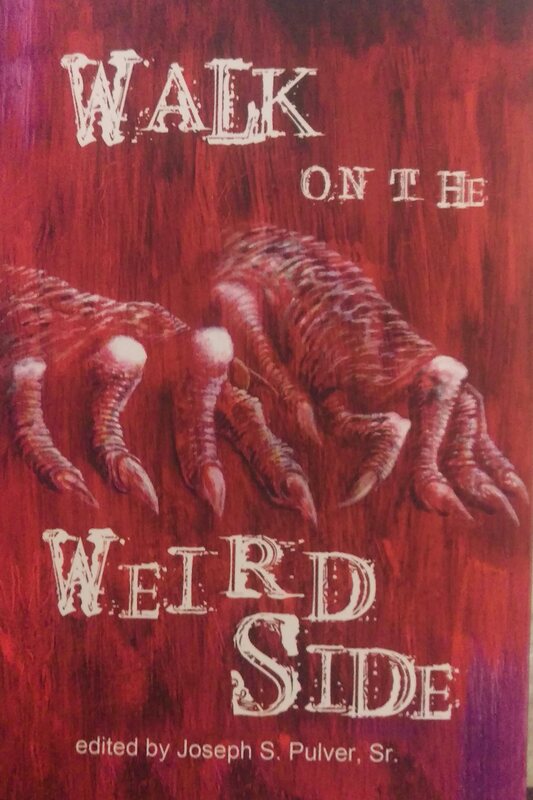 A chapbook in the world of Major Karnage. David Nickle – Volk A sequel to Eutopia. Apparently when Nickle signs books he draws a little cartoon. 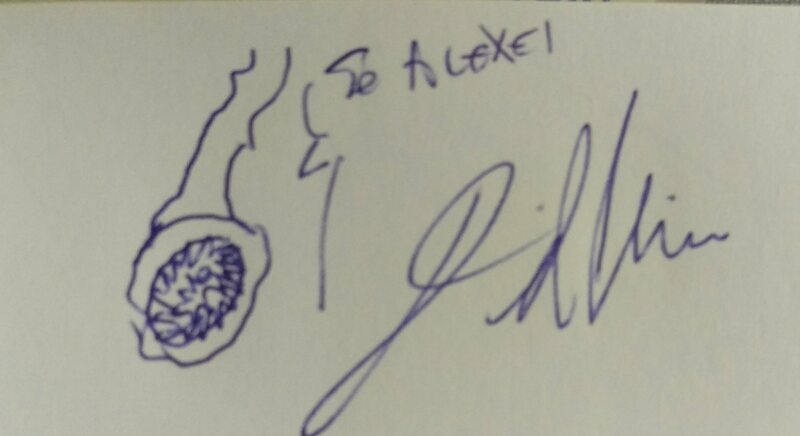 He suggested my copy was the first he had signed, and this squiggle has something to do with the end. 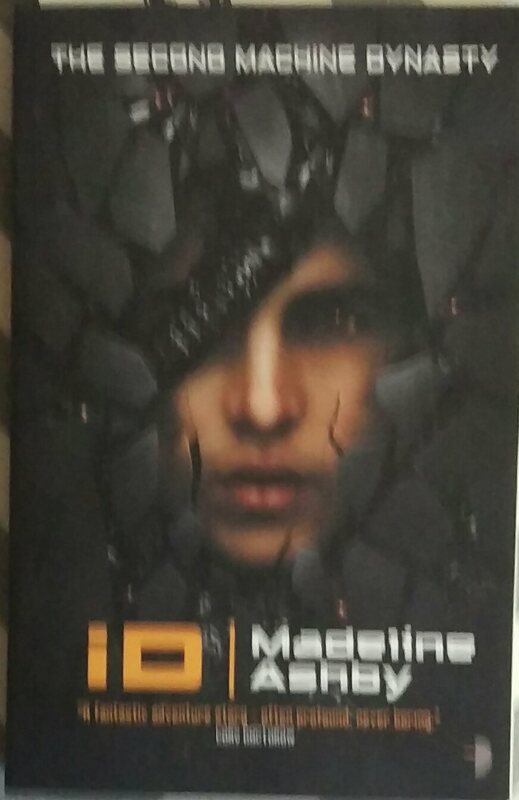 I SHOULD have received my copy of Looming Low, but a combination of errors led to that being returned to Dim Shores after getting miscategorized as MACHINERY. Hopefully it doesn’t get lost or damaged in the 3 trips it makes. Coming in under the wire 11:45 Saturday night was stuff that was supposedly lost – a Muzzleland Press order from January, not arrived by August, and declared lost after postal claims. Picked up today. Also two copies of a pre-ordered Caitlin R. Kiernan book. 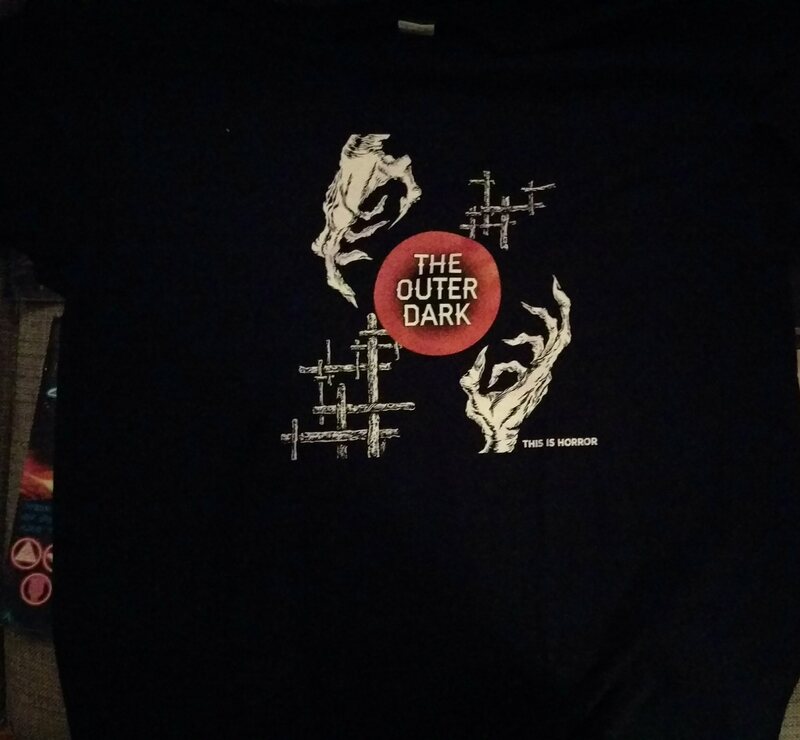 I also received my Outer Dark t-shirt. September was a good month for social things. A bunch of us hung out and ate Syrian food. I went to the ChiSeries for the first time in a while. I never thought that Ms. Pacman noir would be a thing I’d enjoy, but the readings from a themed anthology were both funny and well-written. I got to see lots of people I like but don’t often see. I did stuff related to miniatures painting. I got to have a coffee with a couple of the people behind the Winterbourne web-series, and the transcription of that is finished. Hopefully I can post about the conversation in the next few days. Winterbourne and 1896 are both crowdfunds worth supporting.